Are you planning to start a fashion truck business or a mobile retail business and need help getting started? 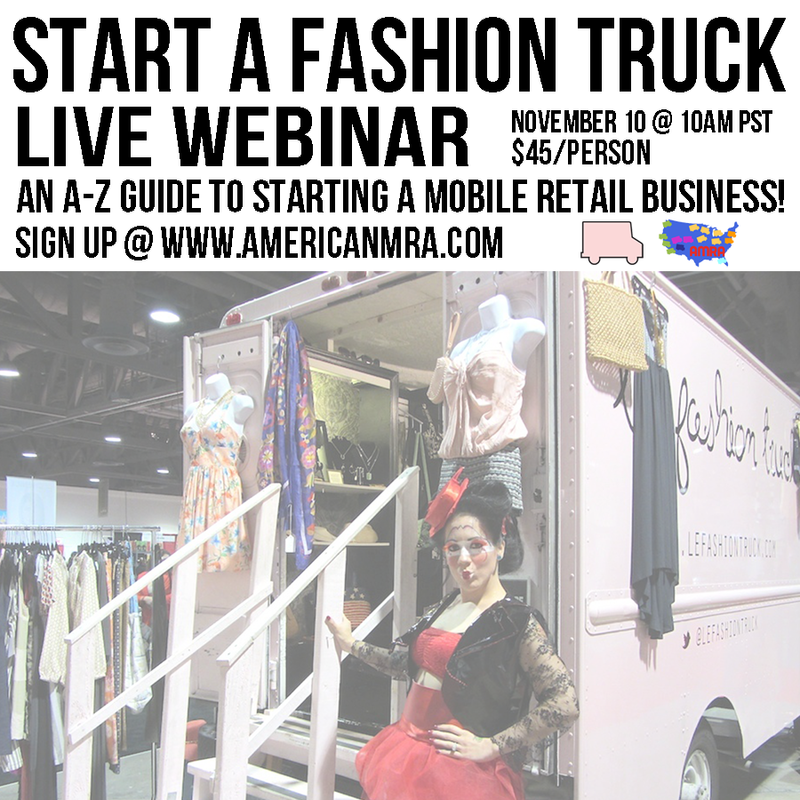 Join our live "Start a Fashion Truck Business" webinar on Saturday, November 10, 2018! 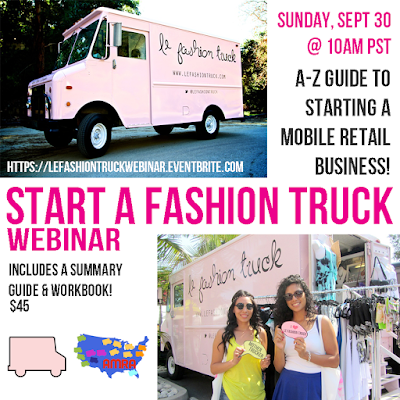 Hosted by American Mobile Retail Association and Le Fashion Truck's Founders Stacey Jischke-Steffe and Jeanine Romo, we know what it takes to get started on a limited budget with a focus on do-it-yourself practices.